I was going to just put this in quick hits, but it’s too much fun not to get it’s own post. 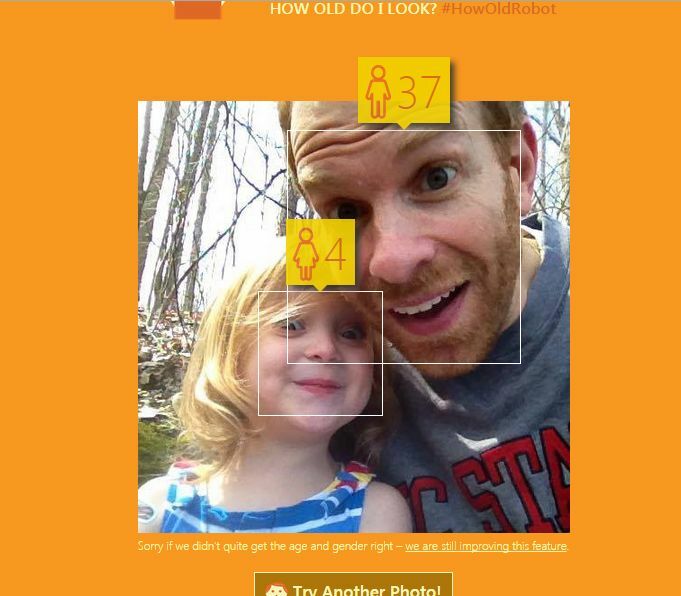 A Microsoft website that uses some algorithm to guess your age and gender (pretty accurately) by your photo. Here it is getting my daughter just right and me six years too young in my current profile photo. Had a lot of fun with this using a number of different photos. It had me as high as 46 and as low as 36. On average, probably low 40’s– not bad. And yes, always as a man :-). And here’s a family Christmas photo. 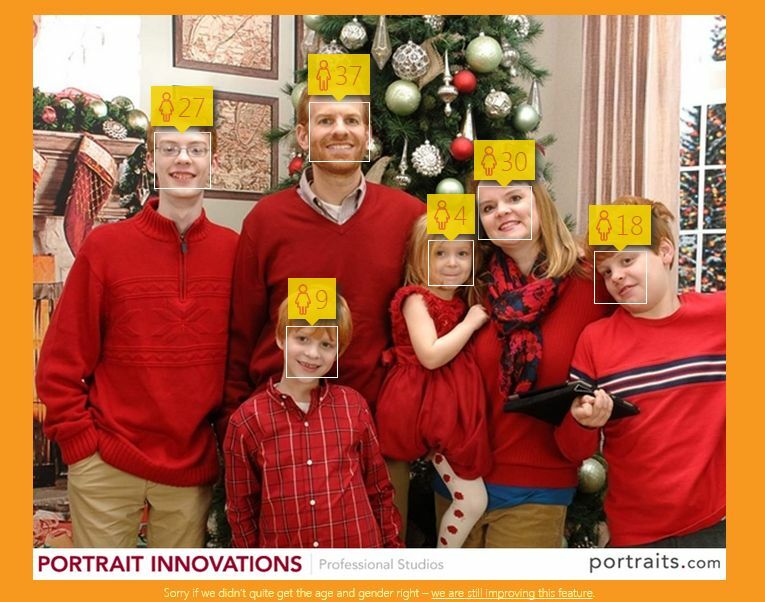 Would love to know what it is about my son David (15) that it always thinks he’s late 20’s. Let me know how it does for you. Before his controversial death earlier this month while in police custody, which has set this city aflame in rioting, the life of Freddie Gray was defined by failures in the classroom, run-ins with the law, and an inability to focus on anything for very long. Many of those problems began when he was a child and living in this house, according to a 2008 lead poisoning lawsuit filed by Gray and his siblings against the property owner, which resulted in an undisclosed settlement. Kevin Drum, despite being in the midst of serious cancer treatment, cannot resist weighing in with a great post on the lead and crime link (of which he’s written extensively– this is an assigned reading in my criminal justice policy class). But even from the midst of my chemo haze, I want to make a short, sharp point about this that goes far beyond just Gray’s personal tragedy. It’s this: thanks both to lead paint and leaded gasoline, there were lots of teenagers like Freddie Gray in the 90s. This created a huge and genuinely scary wave of violent crime, and in response we turned many of our urban police forces into occupying armies. This may have been wrong even then, but it was hardly inexplicable. Decades of lead poisoning really had created huge numbers of scarily violent teenagers, and a massive, militaristic response may have seemed like the only way to even begin to hold the line. It also would require property and business owners who don’t allow weapons to place a large sign to that effect in a prominent location. A violation of such a notice would no longer be a misdemeanor, just an infraction. Glad to know that the “2nd amendment rights” of those intent on harming others trump any reasonable concern of public safety. And what’s with this ban on asking “in writing”? So there’s– heaven forbid– no written record someone own’s a gun?! Can’t have the one-world government knowing that information and swooping in with black helicopters to take the guns away. Of course, violence and burning buildings are always going to capture the attention of the newsmedia (especially television) more than the massively important social and historical context, but, at least there’s some excellent print journalism (Kristof is just one of many examples I’ve seen) that really understands what’s going on. Roberts’ logic here is simple and commonsensical. A state’s judiciary can function healthily only if citizens are content that judges apply the law impartially. If a judicial candidate is permitted to personally ask individuals to donate to her campaign, she may be tempted to treat her donors more favorably in the courtroom. Even if the judge herself remains unbiased, a reasonable observer may still believe that when she rules in favor of a donor, his donation influenced her thinking—consciously or unconsciously. This risk of corruption, actual or perceived, is enough to justify Florida’s narrow, sensible restriction on speech. Of course, judges actually are different, but it seems to me if you believe in “public confidence in judicial integrity” you damn well ought to believe in public confidence in legislative integrity. And if Roberts thinks our crazy, post Citizens United campaign finance regime has not undermined public confidence in legislative integrity he’s got his head in the sand half-way to China. But, of course, Roberts is a judge, and judges are special. This is really cool– a Smithsonian gallery of Lake Michigan, which is currently so clear you can see 19th centurry shipwrecks on the bottom. The 121-foot brig James McBride lies in 5 to 15 feet of water near Sleeping Bear Point.